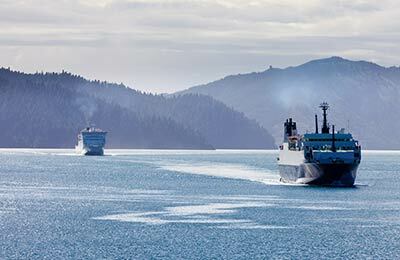 You can use AFerry to book an AMHS (Alaska Marine Highway System) ferry around Alaska. AMHS is a ferry service operated by the US state of Alaska. AFerry always has cheap prices for AMHS and the latest special offers. You can use AFerry to book AMHS Ferries to Bellingham, Ketchikan, Skagway and more. See below for the latest AMHS Ferries prices and sailing times. Click on your ferry route for a detailed timetable. AMHS operates a fleet of 11 vessels, with larger ships offering shower facilities, cabins, lounges and restaurants. There is even the option to pitch your own tent on the upper deck on some vessels. Mainline ferries are the largest ships with the most facilities, serving longer routes. Day boat ferries run shorter trips. While there are no cabins, shower facilities are available. Shuttle ferries operate the shortest routes, serving several destinations in the same day. Facilities on these ships are limited, but stunning views can be had from the viewing decks. Whether you book AMHS Ferries from Bellingham to Ketchikan, Haines to Skagway, Wrangell to Petersburg or any other AMHS ferry, you will know that you got a great deal from AFerry. How long before departure should I arrive for AMHS Ferries?